Honestly painful computer game, the smallest social network in the world, balls that move, when you sing to them, pinball at eye level. All these (and more!) are the multi-sensory exhibits made by art duo Volker Morawe in Tilman Reiffa, also known as //////////fur////. On Goethe-Institute's request the duo opened their first solo exhibition called No pain no game in which a visitor can truly connect with the artifacts if he plays with them. The arty interaction awaits you on two locations in Ljubljana. 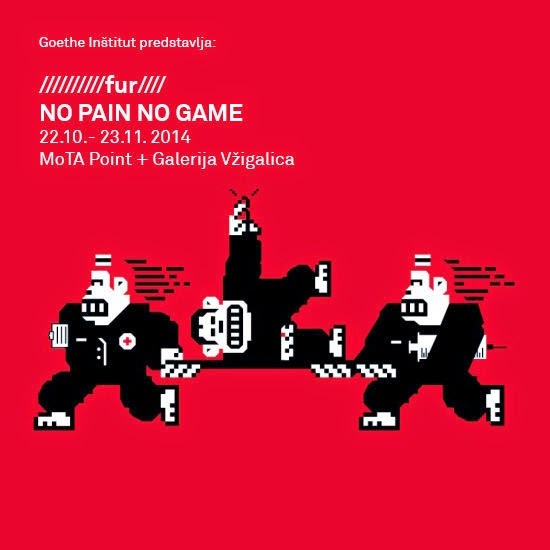 Works such as Soundslam, snake, Amazing, OIS, Golden Calf are available in Vžigalica Gallery (7, French Revolution Square); PainStation, facebox, His Master's Voice and the ////furer//// can be seen (and tested) at MoTA point (12, Gosposvetska street). There's no entrance fee and the exhibition is opened from October 21st until November 23rd.